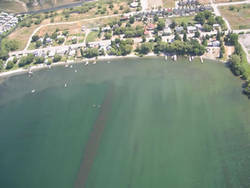 Uncontrolled Eurasian watermilfoil infestation can interfere with opportunities for water-based recreational activities, including motor boating, water skiing, sailing, swimming, and shore-based angling. Infestations also detract from the aesthetic appeal of the shoreline and decrease the desirability of the residential areas adjacent to the water. Dense growth of Eurasian watermilfoil along the shoreline may also negatively impact fish and wildlife. As an invasive species, Eurasian watermilfoil does not create ‘natural’ habitat. The dense growth and occupied surface area can deplete dissolved oxygen levels in shallow areas when the plants decay in fall. Dense canopies also limit light penetration and decrease water flow. Eurasian watermilfoil has less food value for waterfowl than native vegetation. There may also be a lower abundance and diversity of invertebrates in the foliage when Eurasian watermilfoil grows in high densities. 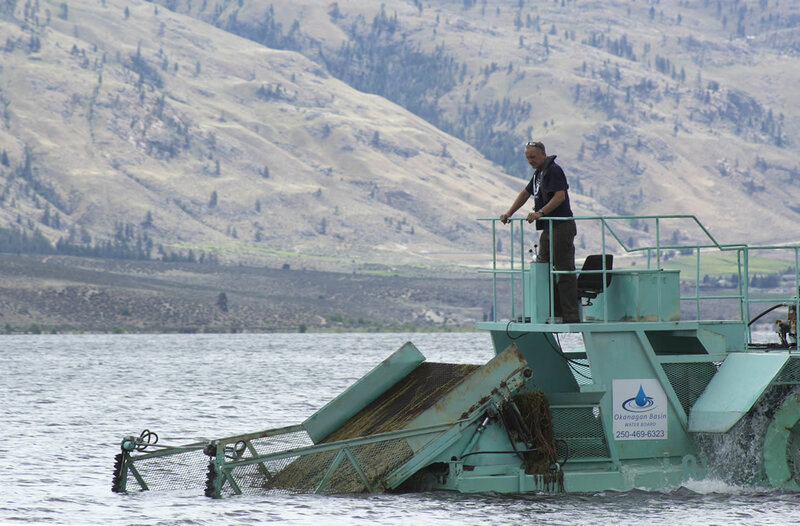 Eurasian watermilfoil has an impact on nutrient levels in Okanagan lakes. Phosphorus and nitrogen releases from Eurasian watermilfoil tissue sloughing during the growing season are significant.